Thule 4 Bike fits both a 1&1/4 and 2" hitch. 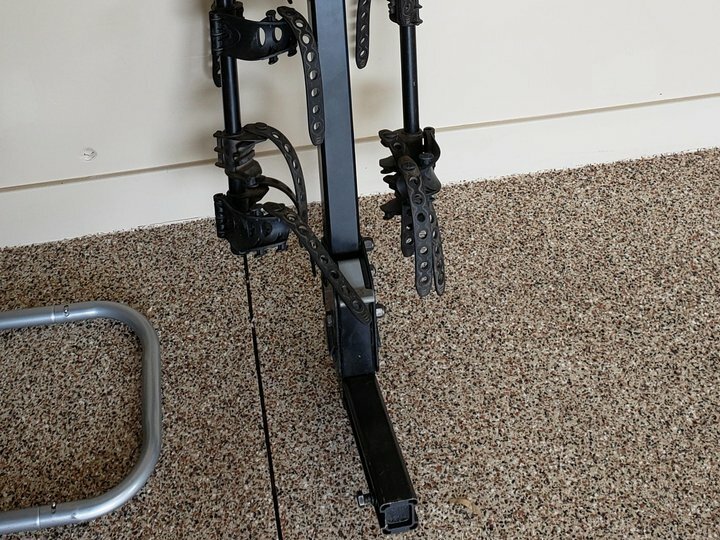 This bike rack is very sturdy and is easy to work with. Deposit is done by check or cash in person which will be returned when bike rack is returned undamaged.